There are tons of awesome location-based apps out there, both games as well as every day rescuers. Location-based apps keep gaining massive popularity. As for example, the number of location-based service users doubled in the United States between 2013 and 2018, from 123 million users to 242 millions. We have listed the 10 most addictive location-based apps. Enjoy! FourSquare is a social networking mobile app available on iOS and Android. The app allows you to discover business and attractions around you. The app recommends you the nearest shop based on your criteria. It's built on a win-win basis both for the users and the businesses. It allows users to give a score to businesses and allows them to add some comments on their experience. Foursquare goes even further by acting like a touring guide. In fact, it allows you to find attractive places nearby and can save the places where you have been. The social aspect of the app helps you connect with your friends by finding them through your contacts or your Facebook/Twitter friends. Once connected, you will be notified about what your friends are doing and vice versa. With more than 20 millions downloads worldwide (as of November 2018), Ingress is a location-based augmented-reality mobile game developed by Niantic and launched on Android (on December 14, 2013) then on iOs (on July 14, 2014). Ingress was the first mobile game to revolutionize the use of location data to create a game set in augmented reality. It uses the mobile device GPS to locate and interact with portals which are in proximity to the player's real world location. The portals are physical points of interest where "human creativity and ingenuity is expressed" often manifesting as public art such as statues and monuments, unique architecture, outdoor murals, historic buildings, and other displays of human achievement. The game uses the portals as elements of a science fiction backstory along with a continuous open narrative provided through various forms of media. The first thing the user notice is the mind blowing visual effects used by Niantic and the sound animation which drives you into a virtual world while letting you interacting with the real world. Find my friends (Android, iOS) is known to be a classic of location-based mobile apps. It allows you to connect with your nearby friends and to monitor the position of your relatives. The major downside of using Find my friend is the privacy issue. If you or one of your friend get hacked, the hacker can access your personal information and even locate you in real time. Luckily, this issue can be solved by using one of the multiple privacy controls options provided on the app. You can even use them to hide your location to certain friends (maybe for a surprise party). As with any weather app, Dark Sky is used to display the current temperature and a weekly forecast. But the point that sets Dark Sky apart from its opponents is the surprisingly accurate to-the-minute rain forecast for your location. The app also displays a weather map which is "situationally aware" and designed to change depending on what type of info is most relevant. I don't know how Dark Sky does it. When I get a notification that rain is starting in 5 minutes, it starts in five minutes, give or take about 15 seconds. Then when Dark Sky tells me the rain is stopping, it stops - almost instantly. Pure magic. Too Good to go is an app created to solve a major problem in the world: Food waste. With an estimated 2.7 trillion pounds of food wasted every year, almost a third of the total food we produced and enough to feed 2 billion people, food waste is a big problem in today's society of excessive consumption. Too Good to Go has been downloaded more than 3 million times since it's launch in 2015. It is available in Denmark, England, France, Germany, Norway, Switzerland and the Netherlands. It gives a great advantages for consumers, who can have food for half price, for restaurant which will reduce the amount of unsold food, and obviously the planet! Waze is a GPS navigation software app which provides turn-by-turn navigation, information and user-submitted travel times and route details. It is described, by Waze itself, as a Community-driven GPS navigation app which is free to download and use. It is mostly used by drivers (also called "Wazers") to report accidents, traffic jams, speed and police traps, and from the online map editor, can update roads, landmarks, house numbers, etc. In 2013, the GSM association gave Waze the Best Overall Mobile App award at the association's Mobile World Congress. Trigger helps you to automate the repetitive actions that you perform every day. On its pro version, it provides you with a set of tools like Geofencing which allows you to turn your wifi when you arrive home for example or to send a message to your significant other when you leave the office. $2.2 billion in lifetime revenue, $2 million per day, 5 million daily active users, 147 million monthly active users, more than 800 million downloads... These are some statistics of Pokémon Go. Unless you have been out of space the past few months, you have likely heard of Pokémon Go. Highly inspired by Ingress, Pokémon Go is an augmented reality mobile game developed and published by Niantic for iOS and Android devices. The game is the result of the collaboration between Niantic and Nintendo. 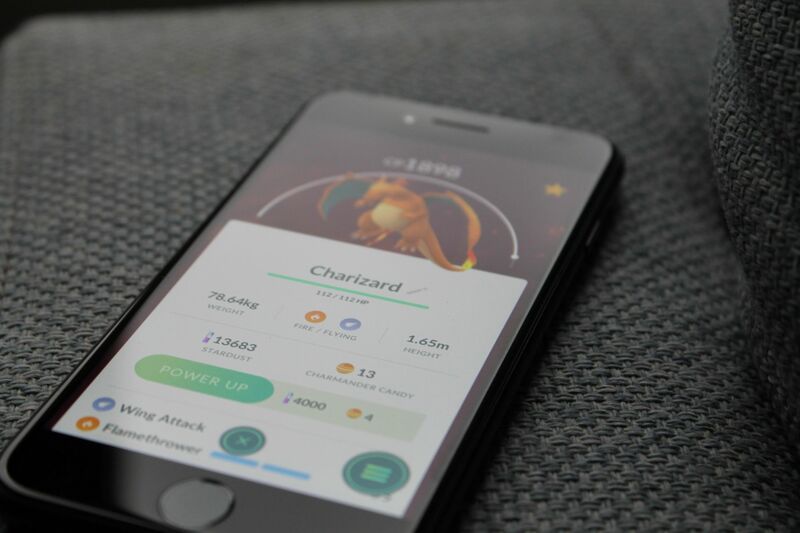 It uses the mobile device GPS to locate, capture, battle and train Pokémon (virtual creatures) which appear as if they are in the player's real-world location. The success of the game led to the popularization of location-based and AR technology. Google Maps is a must app developed by Google, installed by default on most Android devices and available on the App store for iOS devices. It was launched in September 2008 and since then, has benefited from constant updates including turn-by-turn navigation, Street View, public transit information and parking spot. CityMapper's motto summarizes the goal of this app: The ultimate transport App. Launched in London in 2011, Citymapper is a public transit app and mapping service which integrates data for all urban modes of transport, from walking and cycling to driving, with an emphasis on public transport. Citymapper extracts its information from Open data provided by users and public transport companies. Instead of downloading a public transport app every time you travel, you can simple install Citymapper which works as an all-in-one app for all the public transport in 39 urban areas across the world. Citymapper is available on Android and iOS. It offers almost the same features as Google Maps with a great emphasis on the offline mode. Hoffman, Tzahi (February 27, 2013). "Waze wins Best Mobile App award in Barcelona". Globes. Rishon Le-Zion, Israel: Globes Publisher Itonut (1983) Ltd. Retrieved October 16, 2018. Do you want to know how a hospitals becomes a smart hospital thanks to location-based technology? Read this blog post and find out how asset tracking, indoor navigation and automated self check-ins improve hospital's efficiency.